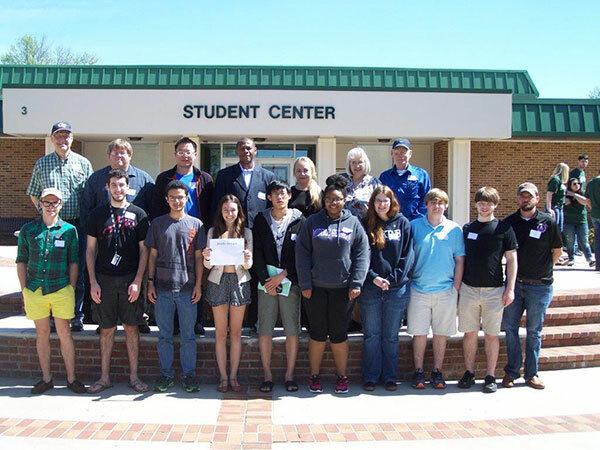 Middle Georgia State placed third overall in the 21st annual University of North Georgia Mathematics Tournament on April 11 on the Gainesville campus. Also, team #1 from Middle Georgia State placed 4th out of 29 teams competing. More than 100 students from three states representing nine colleges competed in the tournament. The competition featured both individual and team events involving problems from calculus, trigonometry, geometry, statistics and algebra. Participating MGA students were Katie Blackwell, Christopher Carbrera, Imani Carson, Faye Chu, Joseph Davis, Daniel Finkel, Hunter Litke, Justin McNair, Hannah Price and Brian White. Middle Georgia State faculty who attended were Louis Camera, Cathie Davis, Mark Garrison, Michael Hammock, Viktoriya Lanier, Roger Purcell and Mingzhi Xuan.